For many people, “Florida” is synonymous with never-ending sunshine, dazzling beaches, crashing waves and crisp ocean air. However, many fail to acknowledge the Sunshine State’s best kept secret: its more than 30,000 lakes and lake communities. 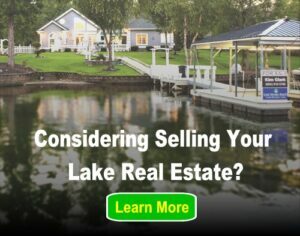 In Central Florida alone there is more than $1.15 billion in lake real estate on the market. Convenient to many of Florida’s most famous cities and attractions, these lake markets uniquely combine the amenities and comforts of urban life with the natural beauty, tranquility and solace of traditional lake living. Featuring nearly $158 million in listings, Lake Butler is the largest of the 11 lakes known as the Butler Chain of Lakes. This body of water covers more than 1,500 acres in surface area. Lake Butler is about 20 miles from Orlando, making it close enough to the thrill of attractions like Disney World and Universal Studios, yet far enough away to maintain a sense of community and calm that many lake lovers seek. Windermere Farmers Market – The Windermere Downtown Business Committee hosts a farmers market every Friday from 9 a.m. to 2 p.m. Their current list of approved vendors totals more than 200 merchants offering items from cheeses to hand-crafted jewelry and knife sharpening. Butler Chain Lake Tours – Lake Butler is home to several high-profile celebrities and some of the most extravagant homes in the Orlando area. Combined with some of the most captivating nature Florida has to offer, a tour along the Butler Chain of Lakes is a must for lake lovers of all ages. Visitors can choose a to take a number of specialty tours including a private charter and a fireworks tour under the Magic Kingdom’s nightly pyrotechnics display. Beck Brothers Blueberry U-Pick Farm – Windermere is also home to a juicy blueberry industry. Visitors are invited to pick blueberries by the buckets-full at Beck Brothers Blueberry Farm. After a day of fun with the family, pickers can bring the fruits of their labor home to enjoy for themselves. This area of Central Florida boasts an overall lake real estate market worth more than $145 million across 46 lakes and lake communities. Lake Tarpon, one of the Lakeland/Winter Haven area’s largest markets, encompasses more than 2,500 acres, snaking along 16 miles of prime, freshwater shoreline. Located in Pinellas County, Lake Tarpon is among the best bass fishing lakes in Florida. Bluegill, crappie and catfish are also abundant on Lake Tarpon as well as blue tilapia and sunfish. The “Pearl of Pinellas,” as it is known to locals, is located near Palm Harbor and Tarpon Springs. Situated a bit further away from bustling metropolitan life than Orlando’s lakes, Lake Tarpon is a welcoming hideaway for urbanites and lake lovers alike. Busch Gardens – This African safari-themed amusement park is located about 30 miles from Lake Tarpon. Considered one of North America’s largest zoos, Busch Gardens features more than 12,000 animals. The park also offers more than a dozen thrill rides and roller coasters, live shows and more. John Chesnut Sr. Park – Covering more than 250 acres, this park features walking trails, 13 reservation-only picnic areas and a dog park. Nature enthusiasts can also enjoy dock fishing, canoeing and use of the park’s softball field and horseshoe pits. 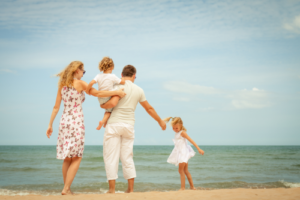 Not convinced yet that Florida is the next best place to call home? Check out “Florida’s Lakes and Lake Communities – Kissimmee, Avon Park and Inverness Areas” for more about the state’s many amazing lake markets!